What would the world be like if 80 percent of the population manifested superpowers called Quirks at age four? Getting into U.A. High School was difficult enough, but it was only the beginning of Izuku's long road toward becoming a superhero. 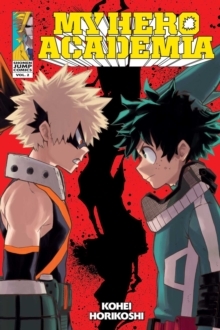 The new students all have some amazing powers, and although Izuku has inherited All Might's abilities, he can barely control them. Then the first-year students are told they will have to compete just to avoid being expelled!